Following conversations at this years annual Deutsche Welle Akademie (DW) Global Media Forum held under the theme, Identity and Diversity. I have taken time to reflect on the two concepts and how they relate to each other especially with the evolution of the media globally brought about by the internet. Having worked for a regional media rights advocacy group, the Media Institute of Southern Africa, for almost a decade now, I interact daily with the complexity of achieving diverse and plural media on the African continent. I have also taken time to reflect on diversity for the mainstream media in the Global North. What is interesting across the globe, is how the internet has made audiences active consumers,with the capability to create content that offers counter narratives, and forms new identities as geographical boundaries are continuously collapsed. But media diversity is not just a black and white issue. It takes many forms: diversity in the ownership patterns of those licensed, diversity in the distribution of content in different languages and on different platforms and diversity in the issues covered based on both geographical and interest communities. Interest communities include gender, racial, cultural, religious and political groups. Ultimately, all these forms of media diversity must complement each other, to ensure that a wider cross-section of the society is catered for in terms of ownership of, access to and representation by the media. Diverse mainstream media a pipe dream? Africa has a long standing history of civil society campaigns for a media that bridges information gaps through a variety media platforms and that cater for different political, racial, religious, gendered expression and opinion. However, varying governmental, political, and corporate forces continue to hinder the achievement of a diverse media on the continent through the licensing of partisan players and/or the control of media content. Although African governments have made commitments to open up the media, continuing media rights violations over the past two decades indicate a lack of sincerity by governments to continental commitments to democratise the media. The demands for media diversity that allows for multiple opinions have remained the same from the signing of the Windhoek Declaration on promoting an independent and pluralistic media in 1991 to the current day African Declaration on Internet Rights and Freedoms, which has come to the fore in the face of increasing internet shutdowns on the continent. Interestingly, in some African countries, the demarcation between working for the state and the private media has split the sector to a point that journalists are reluctant to put up a unified front in the face of violations to their profession. 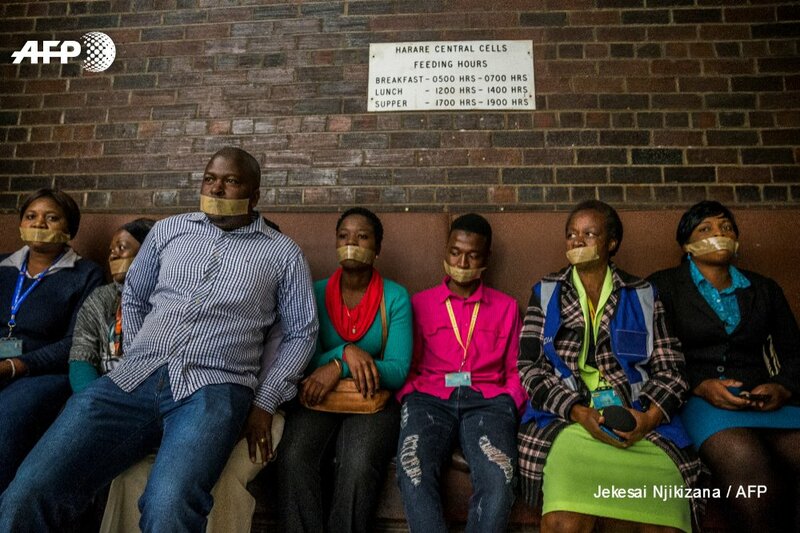 Although South African journalists, last year stood unified in protest against censorship and suspensions, at the South African Broadcasting Corporation (SABC), it is not characteristic of journalists in other African country’s. Last week only a handful of freelance and independent journalists marched in silent protest in Zimbabwe’s capital, Harare against police brutality on journalists conducting their work. Journalists from the state-media did not show their support in anyway. At face value, the increase in the number of players in the media industry on the continent since the oldest African nation, Ghana’s independence in 1957, gives a semblence of diversity. The reality however, is that despite an increase in the number of players in both the print and broadcast media, ownership patterns, content, language and editorial policy reflect a different story. At the centre of this challenge is the death of the public media, as it disregards its public service mandate and serves government interests. This is an unfortunate trend that has grossly affected the quality of information made available to citizens and as a result thwarted their participation in important national issues. Public media still remains the most accessible form of media for the majority on the continent. Governments interference in especially the affairs of public broadcasters has compromised the extent to which these broadcasters can genuinely represent the identity and interests of the people. The long standing pressure for a probe into the governance, mismanagement and poor performance of SABC is a case in point. Over the years, the public broadcaster, once viewed as the best performing on the continent, has been accused of censoring news. This it has done through the ban of the coverage of opposition political parties such as the Economic Freedom Fighters (EFF) and of ‘sensitive’ events such as the violent service delivery protests held in the country last year. The scenario obtains also in Zimbabwe. In 2015, a forensic audit by KPMG of the country’s public broadcaster, the Zimbabwe Broadcasting Corporation (ZBC) pointed to gross mismanagement and malpractice that had resulted in its near collapse. Since the report was tabled before parliament, there has been no movement on the recommendations. The broadcaster continues to be partisan in its reportage, and is in fact expected to launch more channels on completion of the country’s digital migration from analogue to digital broadcasting. The responsible minister, has failed to appear before the Media Parliamentary Portfolio Committee four times this year alone, to respond to progress on ZBC. Independent broadcasters have not been spared from the censorship. In July last year, the Broadcasting Authority of Zimbabwe (BAZ) issued a memo to all broadcasters hindering the coverage of the demonstrations in the country sparked by a nationwide stay away popularised on social media. The authority stated that coverage of the stay away would “incite, encourage or glamorise violence or brutality”. In Zambia, government suspended the broadcasting licences of two community radio stations, Kombani Radio and Itezhi Tezhi and private television player, Muvi TV, over broadcasting of content deemed to threaten “national peace and stability”. Media ownership is another sticky issue. The current media ownership patterns on the continent, simulate precedent colonial controls or monopolies. Over the years, African licensing authorities, appointed by and with very strong ties to the government, have tended to license mainly entities with strong political ties to the government of the day. For instance, in Rwanda the government controlled media licensing body, the Media High Council is accused of licensing mostly players that will tow the line. As Rwandas public sector remains the largest advertiser, survival of the media is, naturally, dependent on support for President Kagames government. In Zimbabwe, the bias in the licensing of independent local commercial radio stations in March 2015, came to light, when it emerged that two of the new licensees, Capitalk FM and Nyaminyami FM, licensed under Kingstons limited, are in actual fact, under the state controlled media stable, Zimpapers. Cross ownership was initially prohibited in the country’s Broadcasting Act, but was amended and has resulted in the concentration of ownership by especially government entities. In the Global North, diversity and plurality in are prominent in debates of representation of racial minorities, sustainability of the mainstream media and ownership. Last year, it was interesting to observe the finalisation of the debate on whether or not to amend media laws to allow TV-newspapers the same market cross-ownership in Australia. Although the Federal Communications Commission eventually voted to continue the 40 year old ban on cross ownership, interesting issues were raised in respect of diversity. One of the arguments was that social media has brought the diversity sought in the media for years and that allowing cross ownership in the mainstream would ‘not harm’ the sector, but rather rescue failing newspapers to be more sustainable. Other quarters felt that it was important to evaluate whether corporate interests of the mainstream media were more important than preserving control of media distribution in the public interest. Following the awarding of this year DW Press Freedom Award to White House correspondents, I was interested in exploring the extent to which proximity to the White House has enabled reporters to adequately cater for America’s diverse society. It emerges that the absence of correspondents of colour at the White House has been ‘the elephant in the room’ throughout different administrations. No doubt this has a bearing on the inclusion of minorities in mainstream policy debates. Three months after his election, President Trump, proved this to be the case after he asked African-American White House Correspondent, April Ryan to arrange a meeting with the Congressional Black Caucus after she asked whether he would consult them on urban policy. President Trump implied that because April is black, she must know the blacks in the caucus, because all blacks know each other and have the same interests! Speaking at the proceedings of the opening ceremony of the Global Media Forum, UNESCO Director General, Frank La Rue, noted that the mainstream media have been left behind by the coming in of social media mainly because of the desire to remain sole arbitrar of news. Social networking platforms Facebook, WhatsApp Instagram, Tumblr and Twitter, which ranked among the top ten social media applications globally in January 2017, have increased the reach of alternative news and opinions. The monopolies of officialdom, gatekeeping privileges and boundaries of editorial policy news are equally broken. Audiences generate their own content and have opinions that carry the day through retweets, shares and likes. The diversity in the social media platforms has ensured that geographic boundaries and marginal interest communities find an alternative platform to engage. This is a definite threat to the hegemony that the mainstream media has enjoyed for centuries through propaganda, misinformation and selective representation. It is no wonder that the phenomenon of ‘fake news’ has been coined to counter this ‘smaller’ more vociforous media, which is to an extent, equally as partisan. Could social media be the solution to our search of legitimate representation of our diverse identities as citizens and consumers of a globalised media? The mainstream media has carried traditionally acceptable free expression, gender, sexuality and political ideologies, especially in respect of national identity. Having been born and currently residing in independent Zimbabwe, I am exposed, to a highly polarised media environment, dominated by a ruling political elite, who over the years have defined and set the parameters for the identity of patriotic nationals. 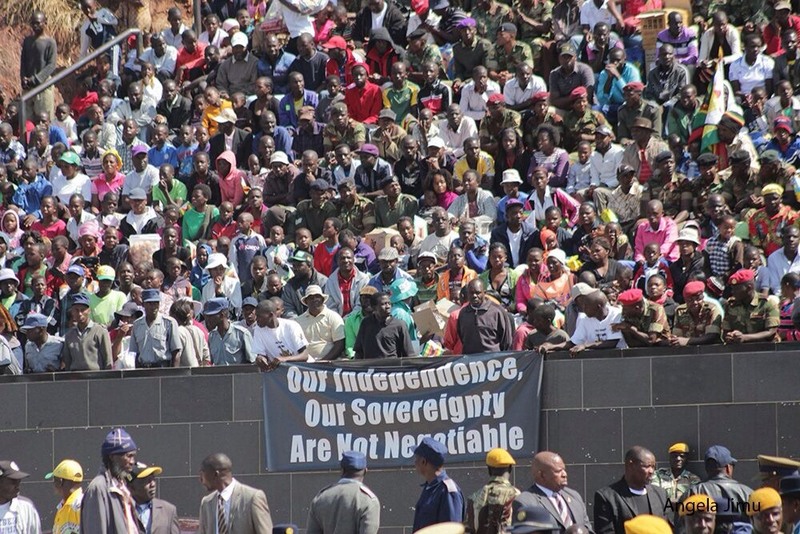 Attempts to ‘reclaim’ Zimbabwean identity on social media have oft been labelled a part of a regime change agenda, that seeks to reverse the gains of a ‘hard earned’ independence. However, the internet has no respect for tradition. By increasing their interaction time and creativity online, new media has demonstrated that audiences in their diversity are capable of shaping discourse and challenging the mainstream to step up. Because of the comfort of the ‘safety net’ of anonymity, citizens are able to form multiple identities that enable them to engage more freely on issues of public interest unfolding in their locality and globally. To a larger extent, the emergence of the new media has provided alternatives to the mainstream conversation and makes an attempts to bridge the gaps of officialdom. However, as more and more leaders find themselves online there is a thin line between the mainstream and the alternative. It will be interesting to observe how the case President Trump’s Twitter account unfolds after the ruling by the Federal Court a few days ago, prohibiting office bearers from blocking social media users from their accounts on the basis of their views. The major question, of course, being whether Trumps personal account will qualify as a public page as the official United States Presidential Twitter account, @POTUS does exist. It can be argued though that the president does not engage actively on public policy on the official account. So in a sense public officials may carry over the same censorship they employ in their official capacity offline on their private online accounts, despite having the opportunity to be exposed and reach out to a wider audience for diverse opinions. Social media giving diverse identities a platform? At a City Conversation on the Feminist Principles of Internet held in Harare recently someone said that they enjoyed Tumblr more than any other social media platform as it is more tolerant of the Lesbian Gay Bisexual Transgender and Queer(LGBTQ) community. Another said she never engages on popular Zimbabwean Women’s Facebook group, Pahushamwari hwedu, meaning As friends, because more often than not, conversations go viral, and expose members. A number of people are on multiple WhatsApp groups primarily because they cannot be ‘themselves’ on ‘others’. We should start thinking about whether or not social media genuine offers the space for diverse identities or is it just a temporary facade. We must also remain aware of the contradictions and implications of media organisations such as Buzzfeed, the New York Times, and the Guardian signing deals to produce live content on Facebook Live. Already Facebook has received criticism on censorship such as the pulling down of The Activist Mommy page after bible scriptures were quoted against homosexuality. The Facebook LGBTQ page is also said to be unavailable in countries where homosexuality is illegal such as Egypt, Palestine, Bahrain, Lebanon, Singapore, Russia, and the United Arab Emirates. It may be safer to say that diversity, whether in the mainstream, online and social media must be contested and re-contested particularly as the line between the them gets thinner. Corporate interests are always at play. At the same time, the struggle for the representation of the diverse identities of consumers of media must continuously be negotiated to a point where what we consume and produce in the public interest is universally acceptable as well as openly contestable.